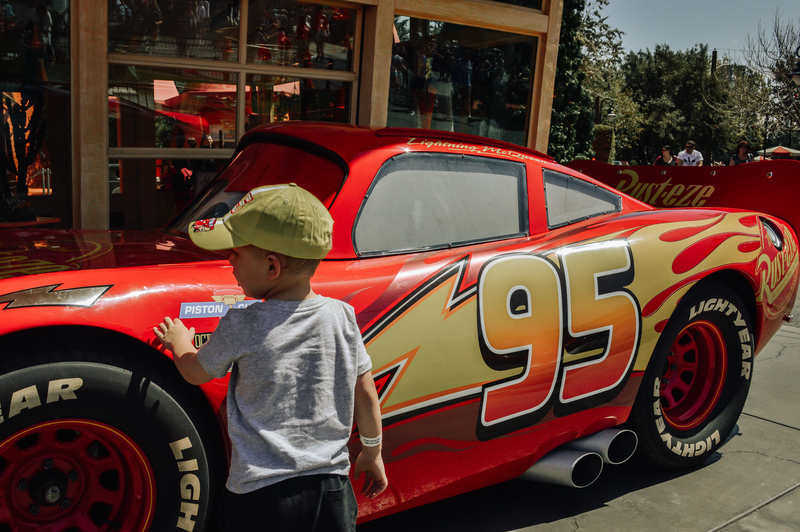 Disneyland Cars Land is one of our favorite stops in California Adventure! 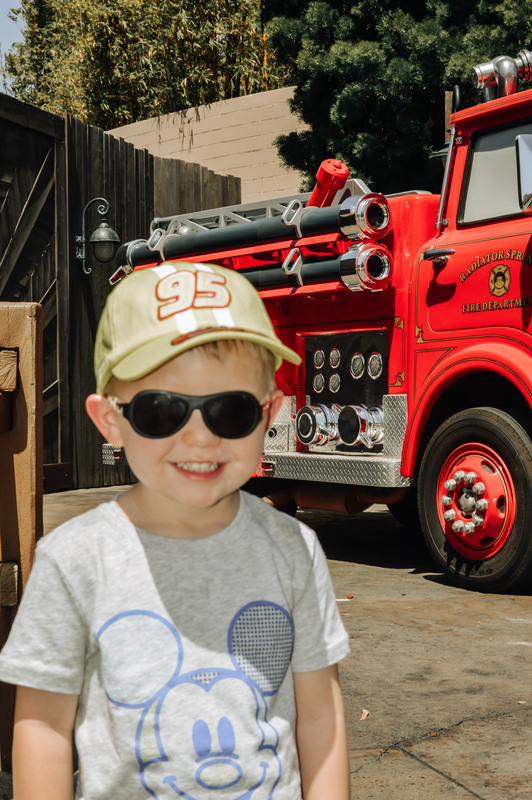 Sawyer, our 3 year old has been obsessed with Lightning McQueen and all the Cars movies for over a year so taking him to Cars Land over the summer was a dream come true. 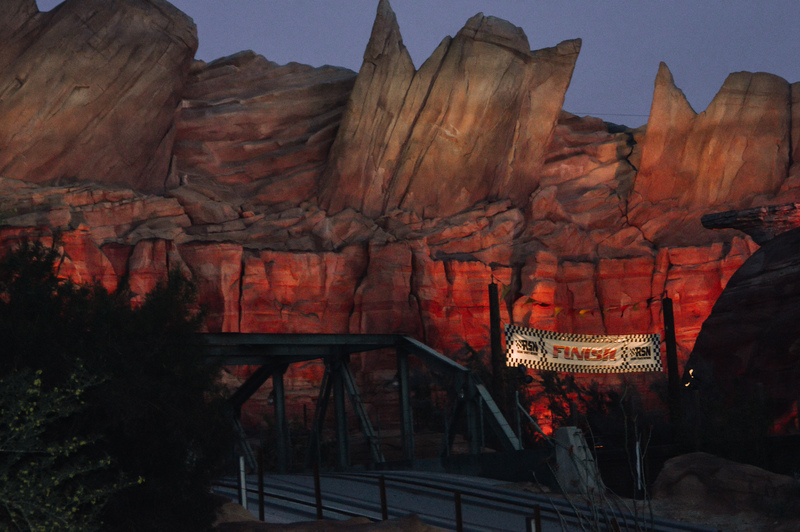 Cars Land opened in 2012 and is still one of the most popular attractions in the park over 6 years later. 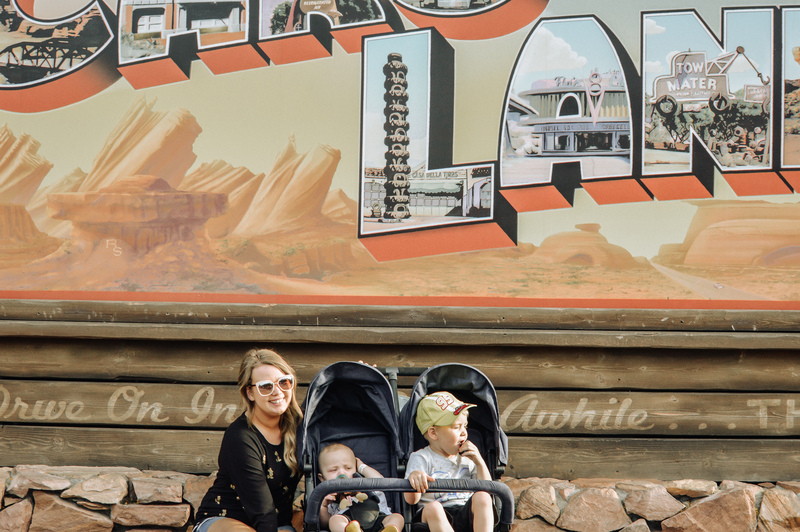 Kurtis and I visited Cars Land the day we got engaged in 2013 and thought it was spectacular. 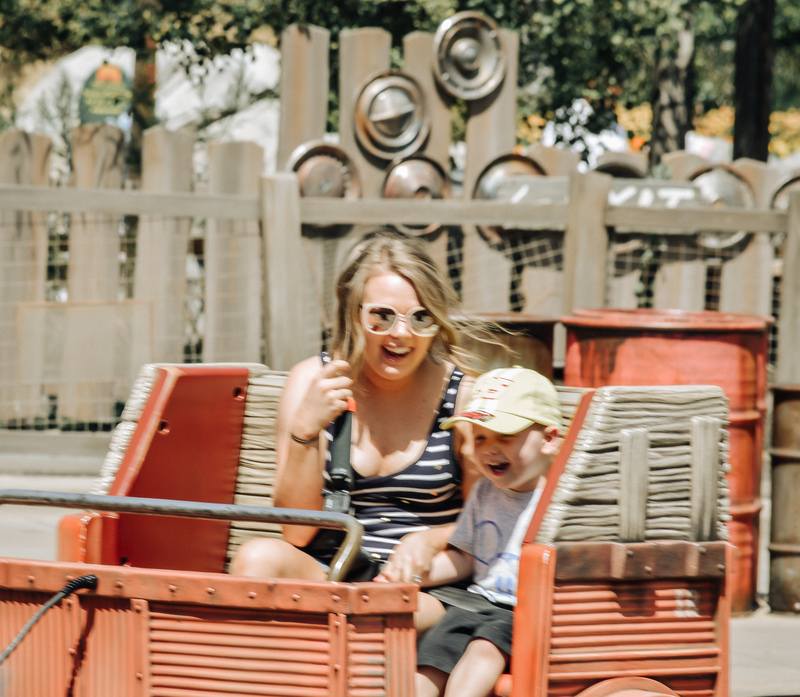 We had been to Disneyland a handful of times since, but hadn’t ventured over to Cars Land again and we were so excited to show Sawyer! 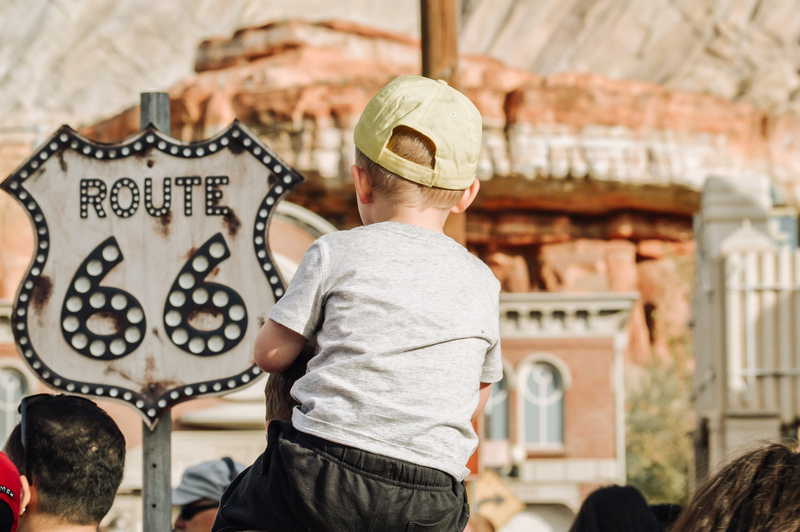 Even though Cars Land is only a small fraction of the wonderful things you can do in California Adventure, there is so much to do there. Sawyer was mesmerized so we spent quite a few hours there and had a blast! There are 3 rides in Disneyland Cars Land, all of them great! 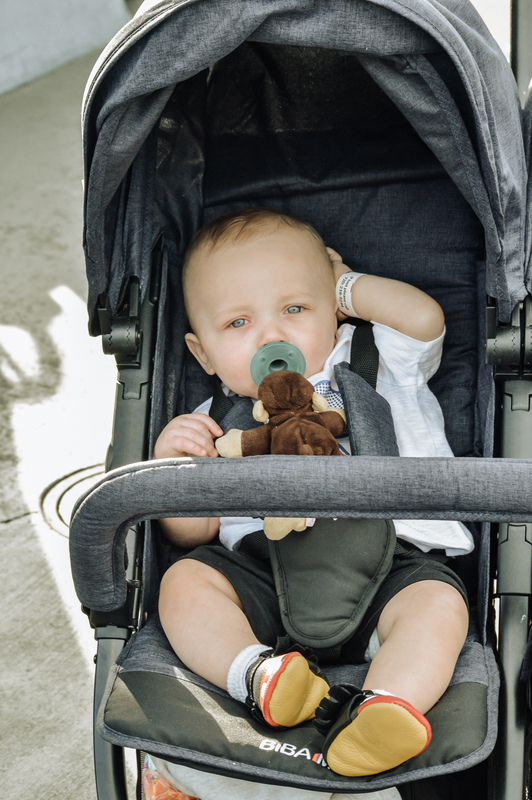 2 are perfect for preschoolers, and one is a little faster and more thrilling. 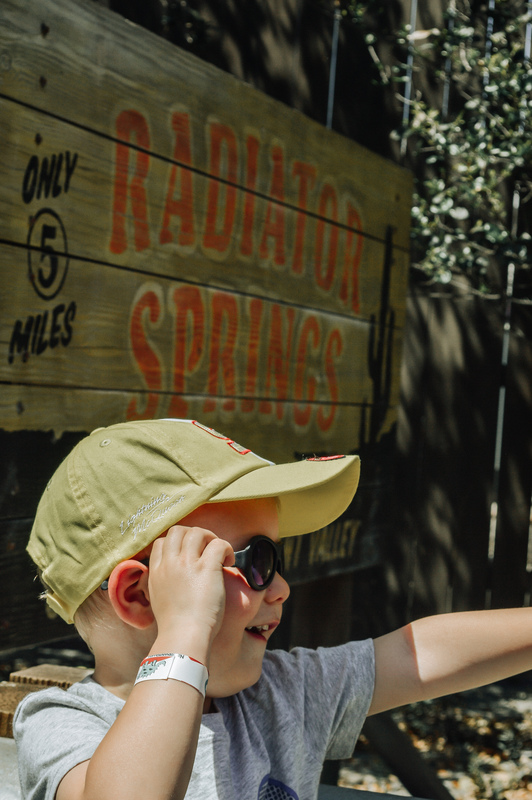 Radiator Springs Racers is the more thrilling of the 3 rides offered in Cars Land. Based off of the Test Track technology found in Epcot, Radiator Springs Racers takes you on a journey through Radiator Springs. The first half is a dark ride, taking you though different scenes of the first Cars movie. The second half is a race! 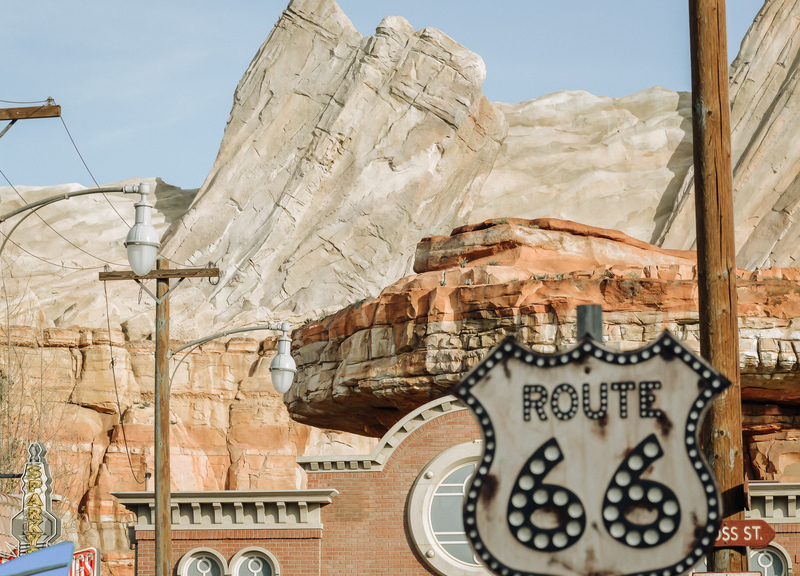 You get paired with the car next to you to race through the outskirts of Radiator Springs, through the gorgeous mountains. This part goes pretty fast which is why you have to be 40″ or taller to ride the ride. 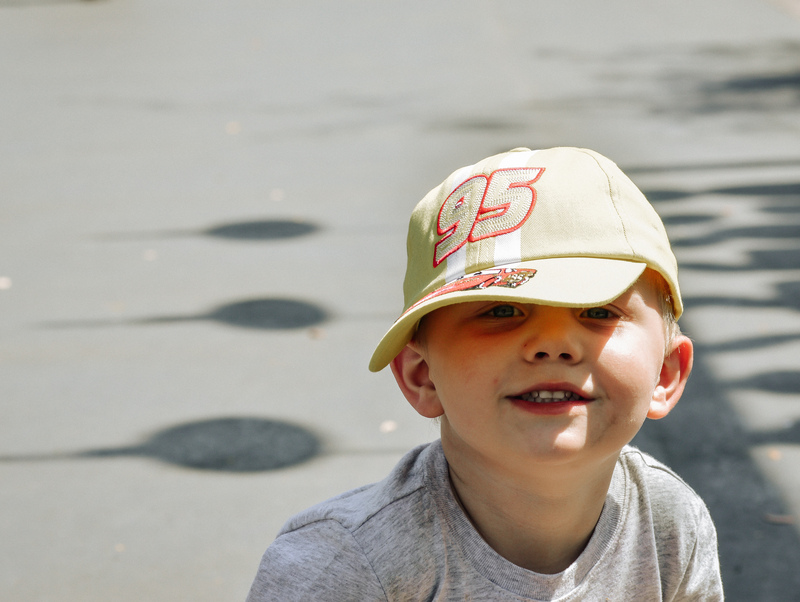 Sawyer is incredibly tall for his age so even though he’s only 3, he was tall enough to ride and he loved it! I was worried it would be too scary for him but he had a great time. 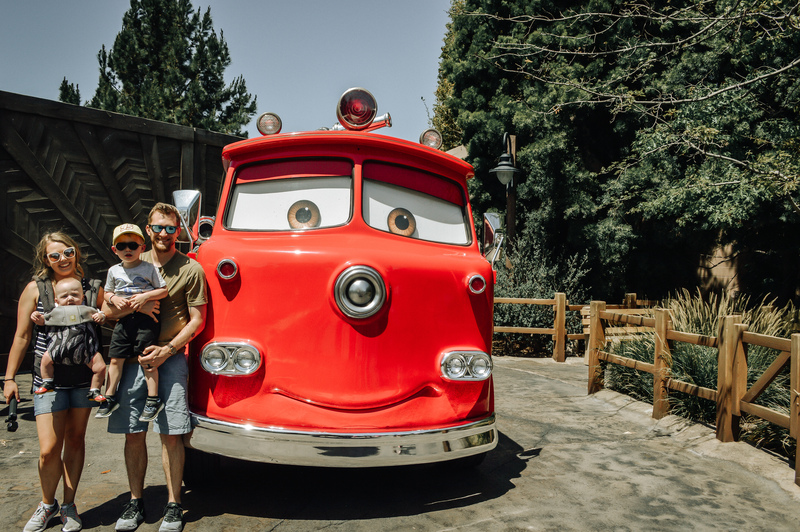 It’s also important to note that Radiator Springs Racers is the most popular ride in the whole park. 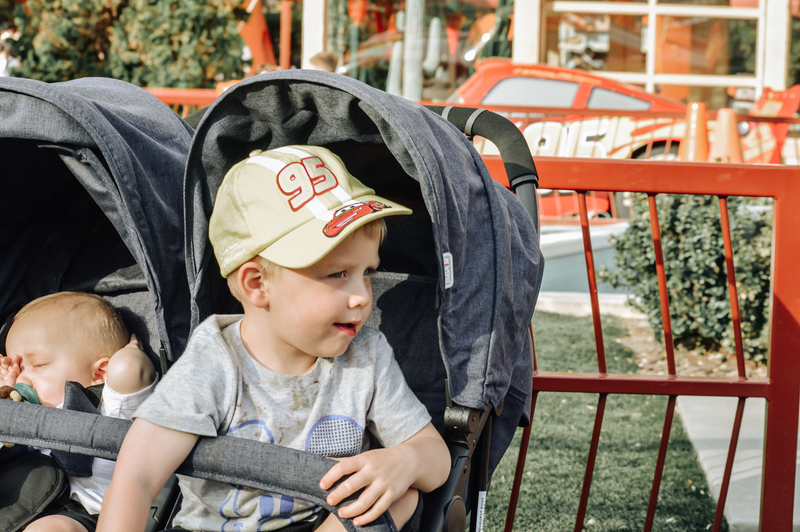 The wait is often more than 90 minutes, your best chance is a fastpass- but they go fast! If you want a shot at getting a fastpass, head straight there when you enter the park. I’m serious, after you enter, go straight to the Radiator Springs Racers fastpass kiosk. We entered the park at around 11:00am after checking into our hotel, and went straight to get fastpasses- and they were for 8:00pm! The fastpasses for the rest of the day had all already been giving out so act fast if you want a chance to ride! 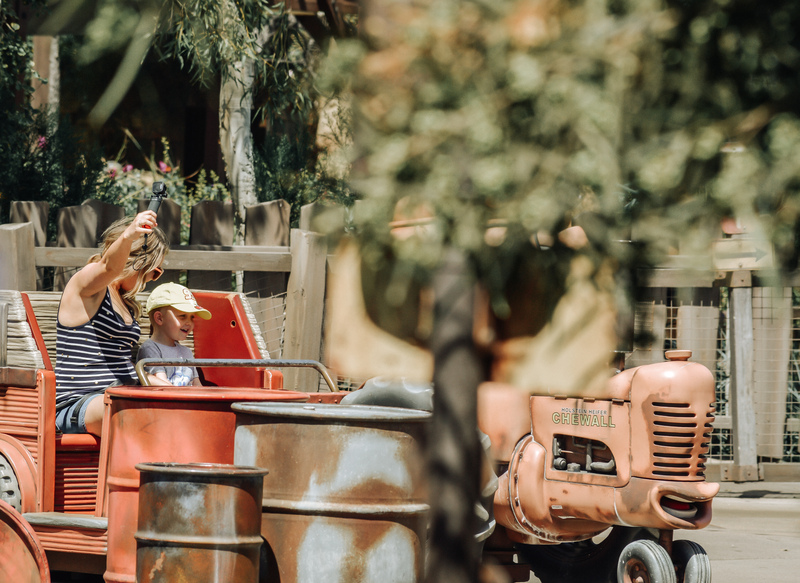 Mater’s Junkyard Jamboree is a whip ride. You ride a small tractor and get whipped around the junkyard to music. It’s a blast! Sawyer loved it. Riders must be 32 ” or taller to ride. My husband took Sawyer on this one and they had a great time. The line goes through Luigi’s Casa De La Tires shop, which Sawyer LOVED (Luigi is one of his favorite characters). Everyone climbs into cars which are said to be Luigi’s cousins coming to visit Radiator Springs, and they dance! 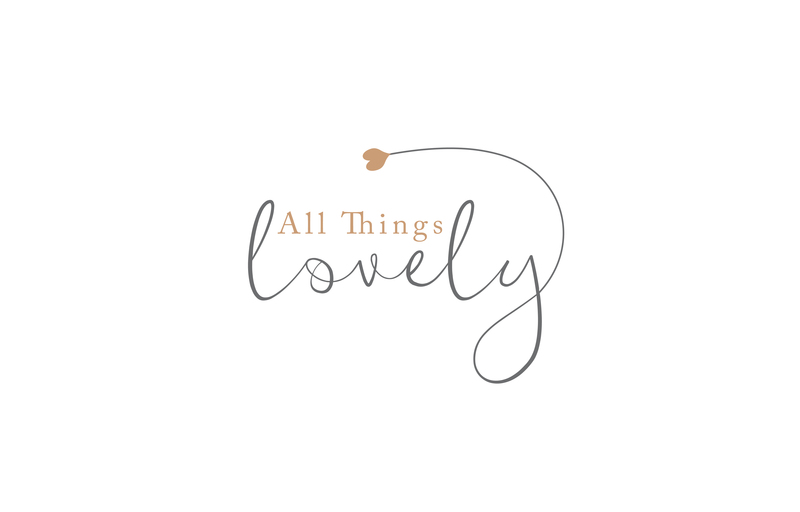 It’s so cute, fun, and easy. Must be 32″ to ride. Disneyland Cars Land is home to some of the greatest food in California Adventure, in my opinion. There are sit down meals and snacks available and everything is delicious! 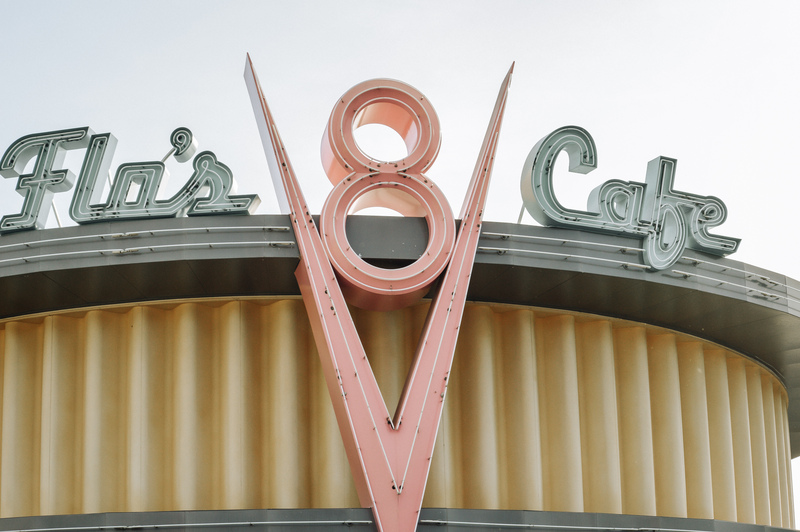 Themed to look like the gas station from the movie, Flo’s V8 Cafe is one of my favorite places to eat in all of Disneyland Resrot. We’ve eaten there the last 2 times we’ve visited California Adventure and it’s always great. Flo’s offers breakfast from 8:00am-11:00am and lunch and dinner from 11:00am-9:00pm. It’s quick service dining which makes things nice and easy and they offer the most delicious plates. BBQ Ribs, Cheeseburgers, Sandwiches, Fried Chicken, Milkshakes, Pies, and more, Flo’s has something for everyone and everything is delicious. They have kids meals and even serve alcohol for those tired Disney moms and dads needing a pick me up. 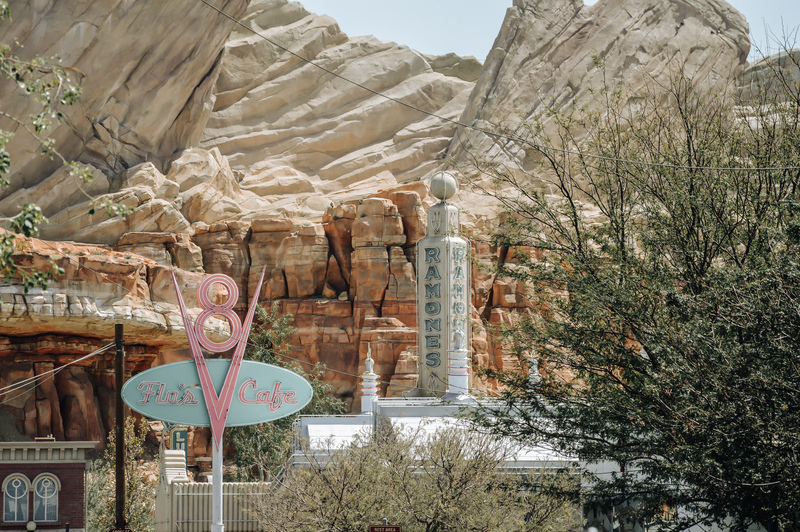 My favorite part of Flo’s, however, is that they offer seating directly across from the Radiator Springs Racers ride, so you can eat and watch the ride! The beautiful view of those Disneyland Cars Land mountains cannot be beatten! The best place to get snacks and small bites! There are 4 cones, each serving something different and delicious! 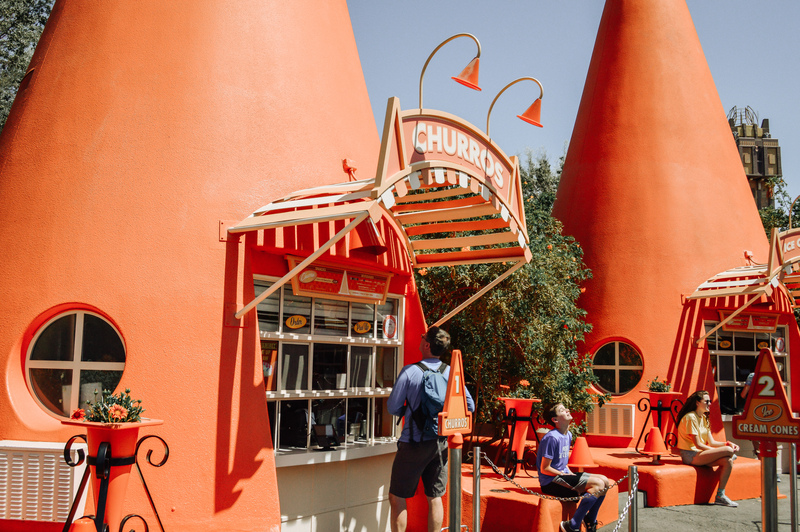 Every cone has different specialty beverages as well. Filmore’s Taste-In is a snack cart offering assorted whole fruits, pickles, assorted chips, babybel cheese, and beverages. The perfect stop for a quick snack! 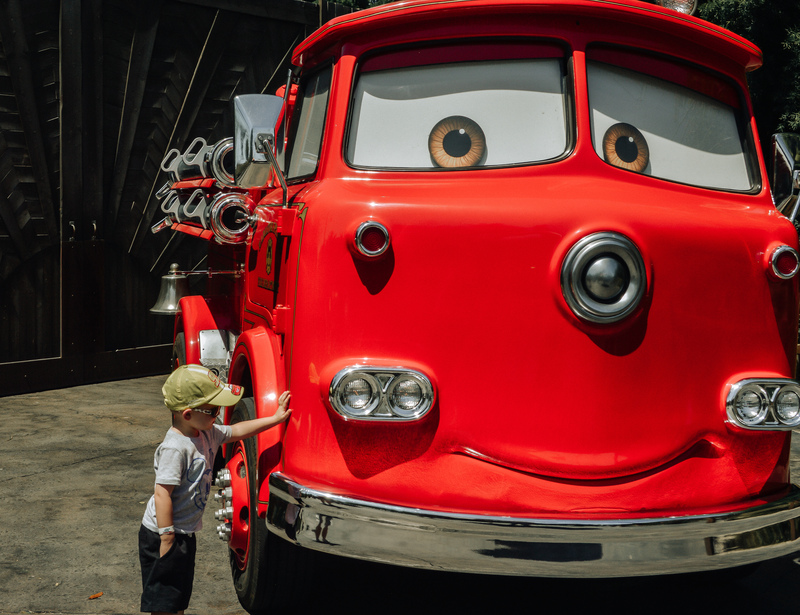 In Cars Land, you can meet Lightning McQueen, Mater, Cruz Ramirez, and Red the Fire Engine. 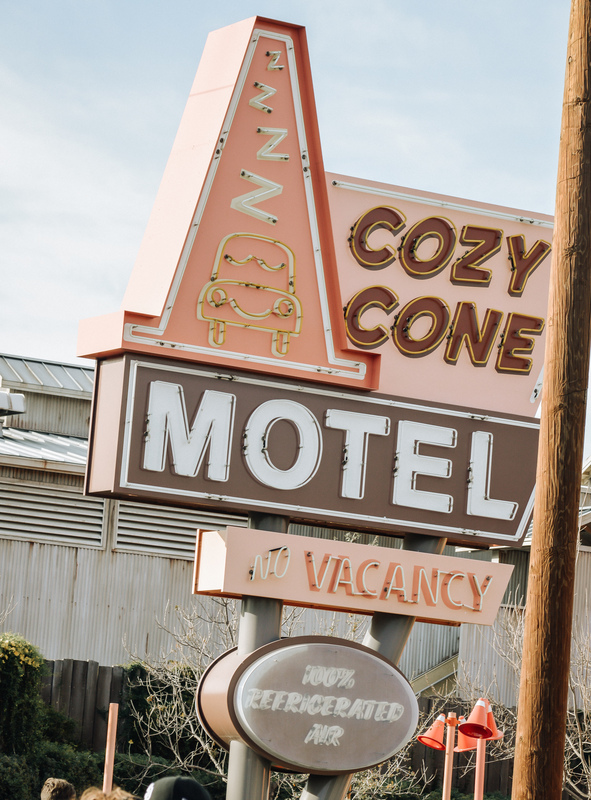 Lightning, Cruz, and Mater, all meet in front of the Cozy Cone Motel, while Red meets behind Luigi’s Rockin’ Roasters. 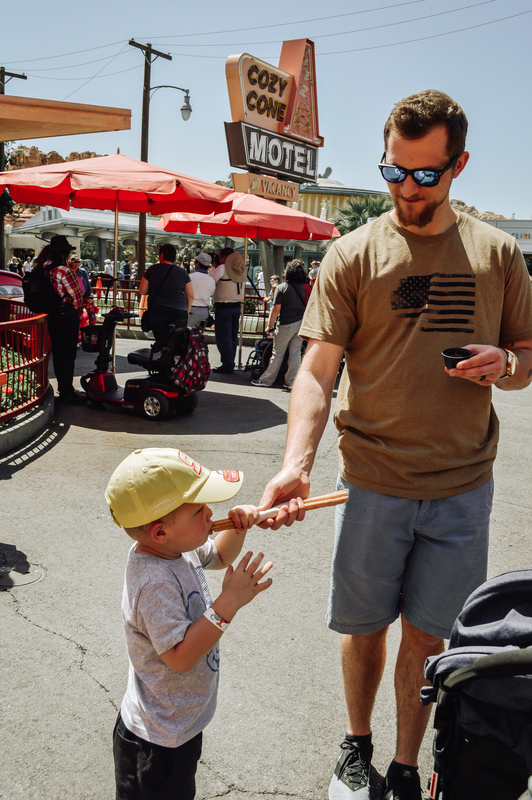 Cars Land offers 3 shopping options. 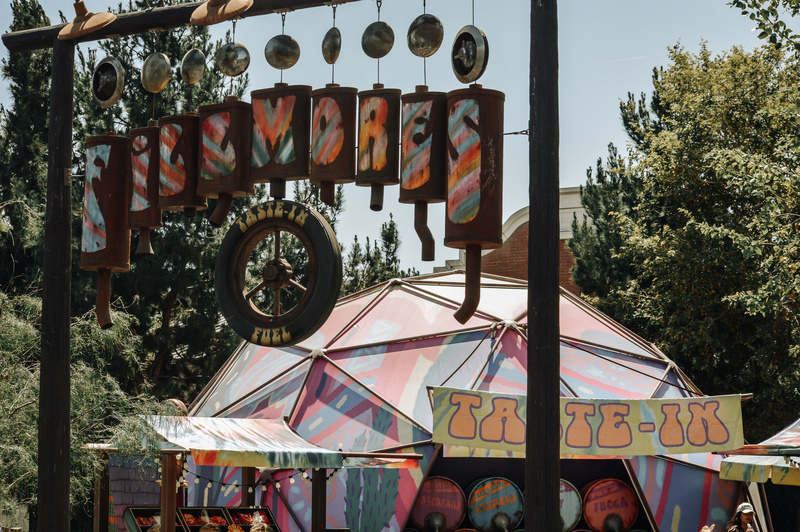 Sarge’s Surplus Hut, Radiator Springs Curios, and Ramone’s House of Body Art. All offering wonderful Cars souvenirs! This is where the kids picked out their toys for the day. They had tons of die-cast cars that we haven’t been able to find elsewhere (The Disney Store, Target, Amazon, etc), and seem to be exclusive to Disneyland so they were glad to pick some up to add to their every growing collection. 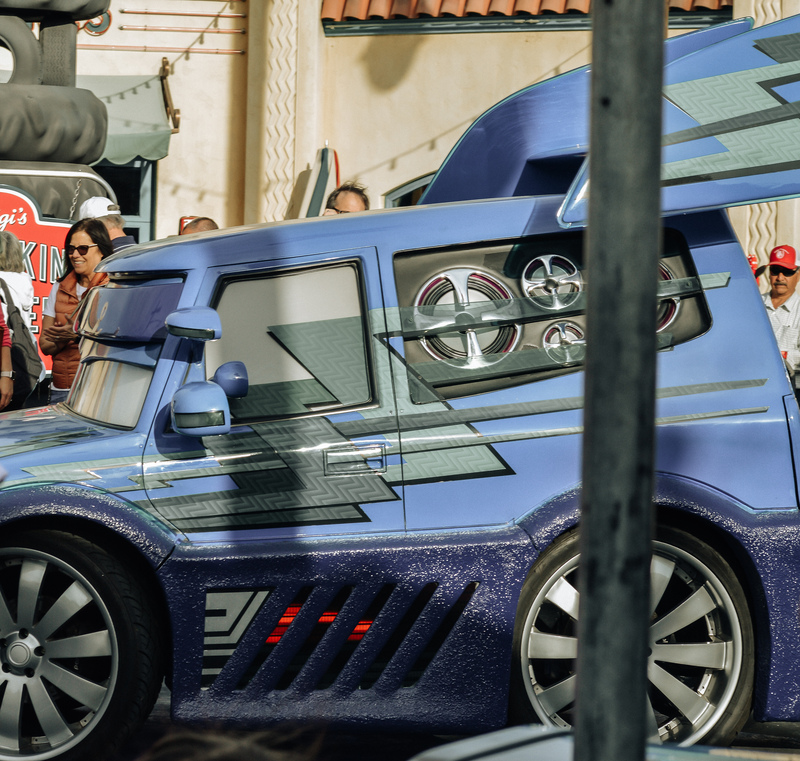 The most impressive thing about Disneyland Cars Land is how perfectly it mimics the movie. It looks just like the Radiator Springs we see on our tvs. It truly transports you into the movie. Sawyer recognized everything and was absolutely enchanted. 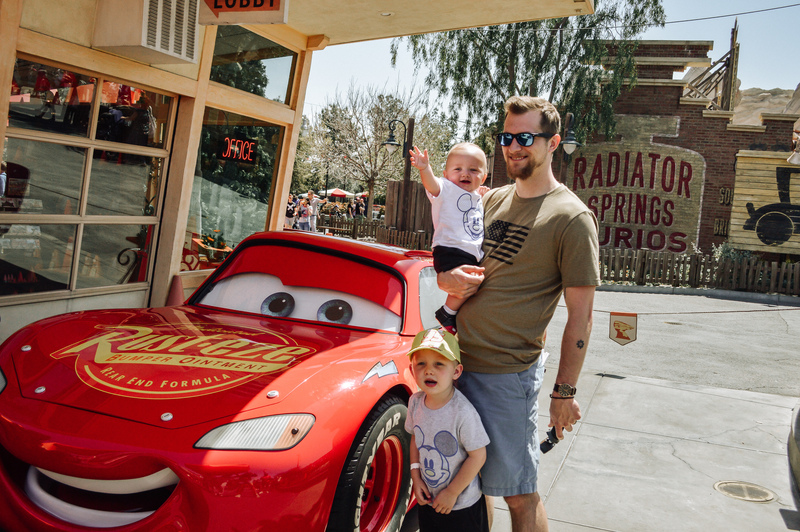 He truly believed he was in Radiator Springs and to be honest, so did we! 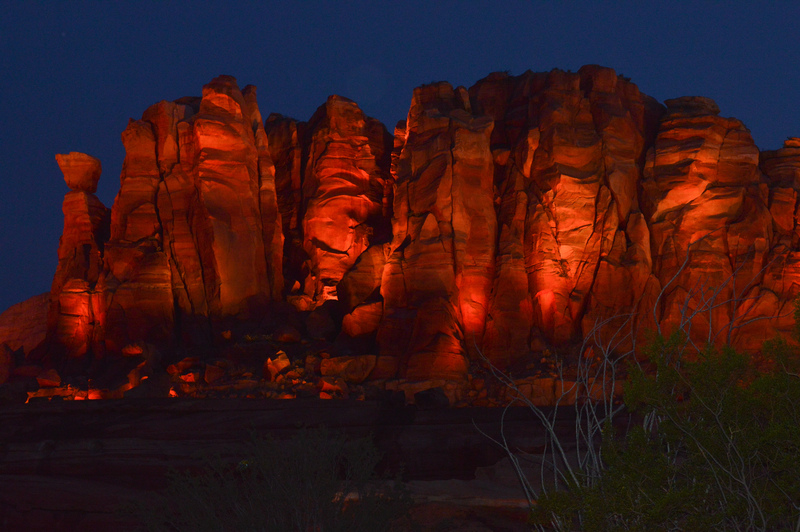 It’s truly incredible what they’ve been able to do with Cars Land, and it’s no wonder it’s been such a success. But night time is the best part. 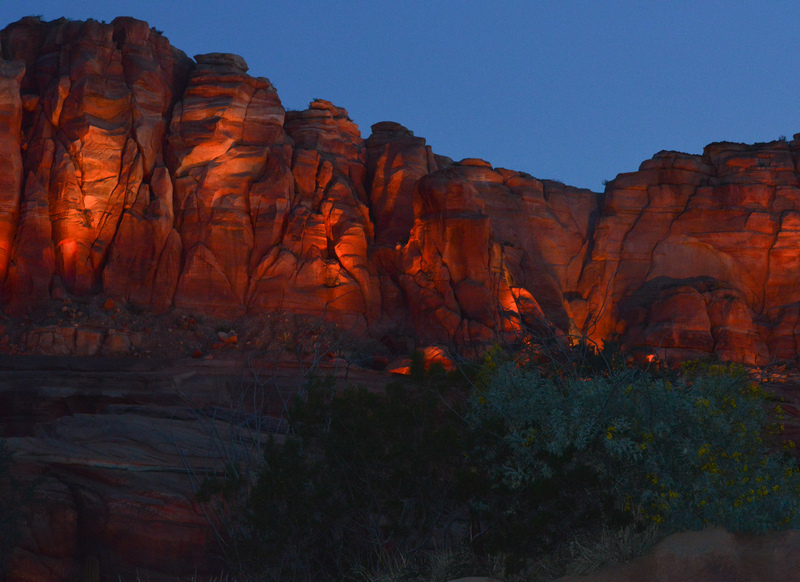 As soon as the sun sets, Cars Land lights up just like in the “Life Would be a Dream” scene in the first movie and its breathtaking. The mountains are spectacular. If you do one thing in California Adventure, go to Cars Land at dusk! Don’t forget when visiting the Disneyland Resort to download the Disneyland app. This will allow you to see the wait times of all the rides, the characters that are out, the menus of all the restaurants, and more at both parks! 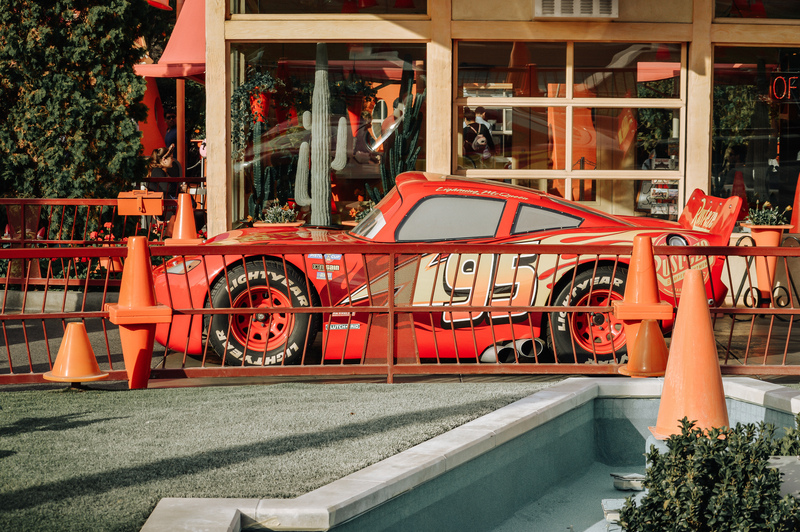 An absolute must for visiting Disneyland Cars Land. 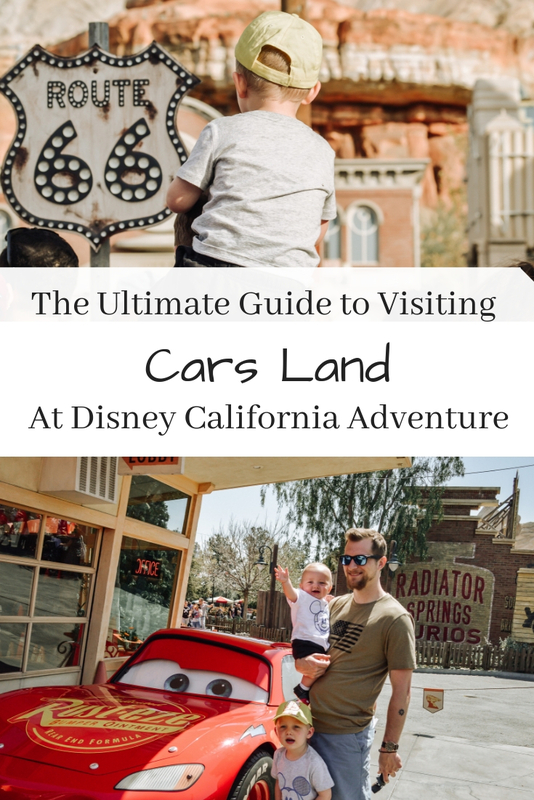 I hope you found this guide helpful and that your little ones are as mesmerized by Disneyland Cars Land as ours were! Looking for more Disney tips and tricks? Be sure to check out all my Disney content here.